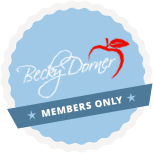 Updates on QAPI - Becky Dorner & Associates, Inc. This session identifies updates and revisions for the new Quality Assurance Performance Improvement (QAPI) requirement. Current “best practice” resources and tools for QAPI implementation and program management will be presented.